See Dallas' original post here. 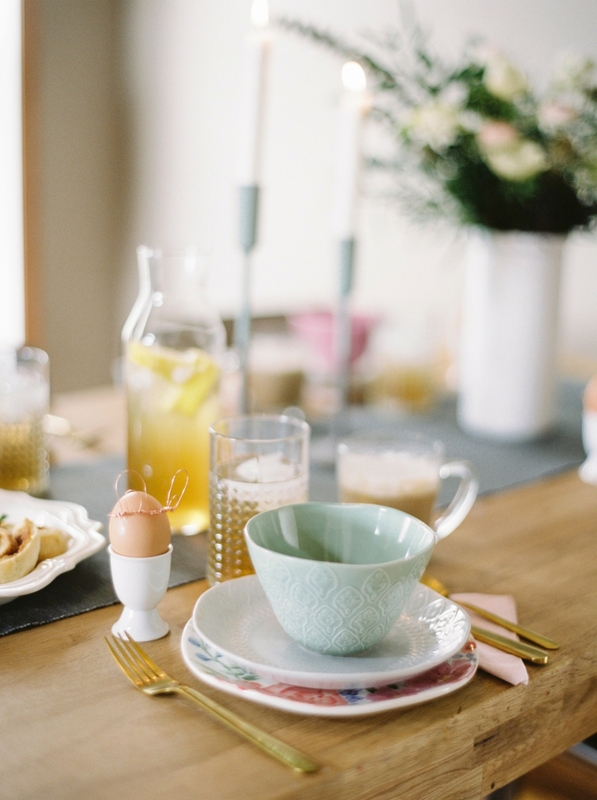 A few words from Dallas: We invite our Canadian family into our home to celebrate with an Easter brunch. If you don’t know this about me, brunch is my favoutite meal of the day. I love starting my day day off with something savoury and topping it off with something sweet (check out my Danish inspired cinnamon bun recipe here). 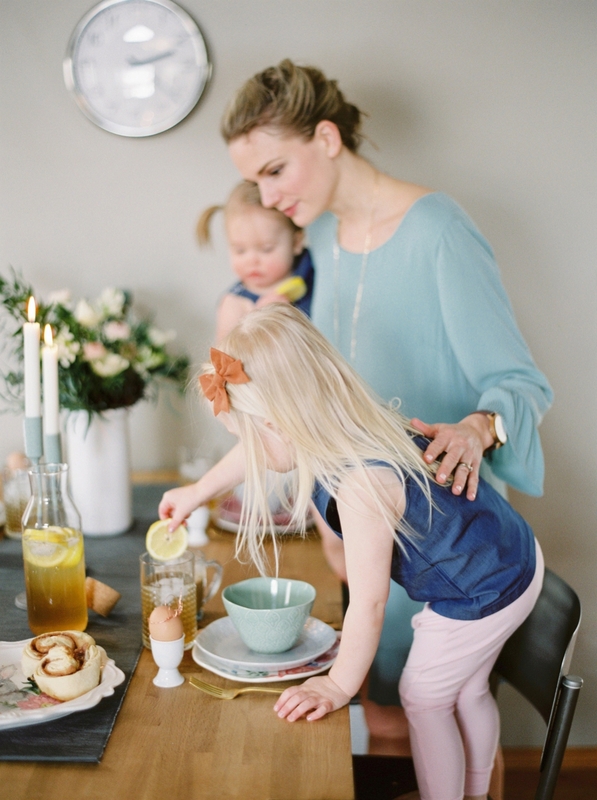 Pastel pallet – What is easter without a few pastels? I’ve loved my geometric phases with touches of grey and black, but with two sweet little girls, touches of pink and a few bunnies move their souls. Pink is a love language around these parts and I love moving their souls. Candles – I learnt from my mother-in-law how candles add instant atmosphere. 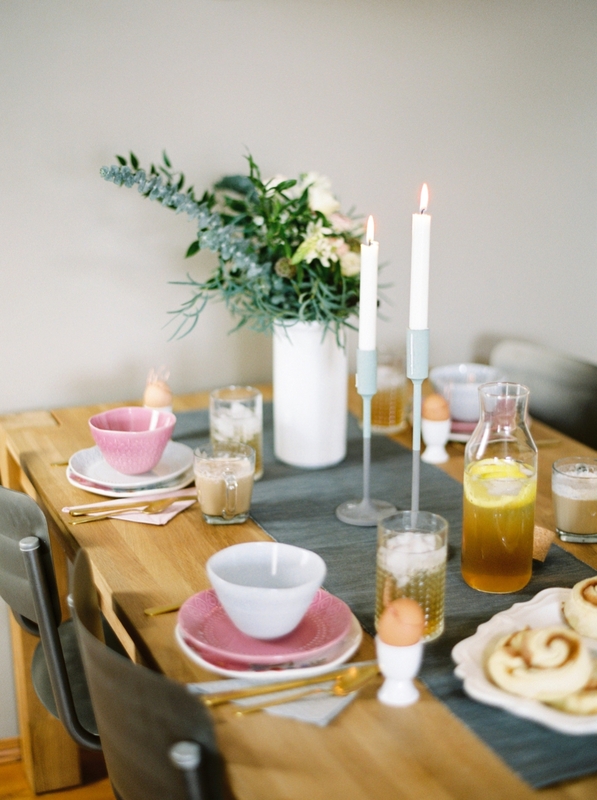 Hygge at it’s finest! 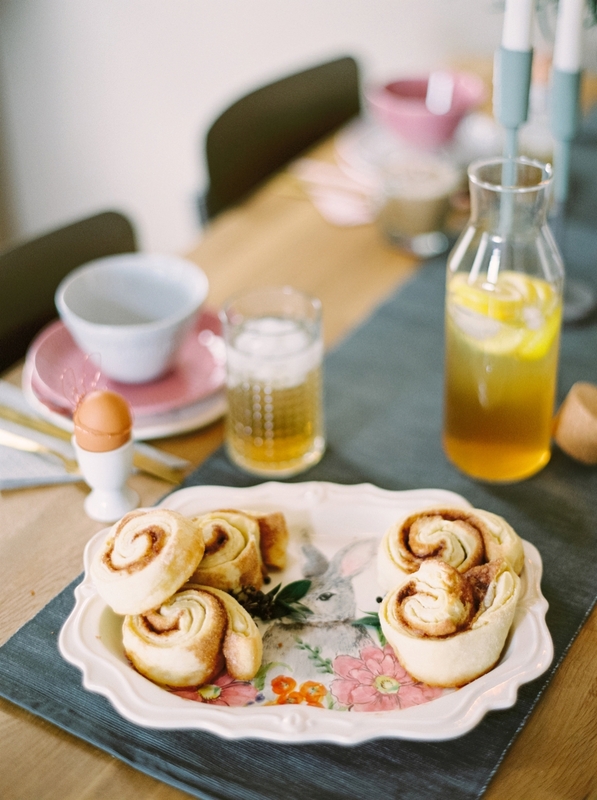 Cinnamon buns – Baked goods just make life better and taste delicious. Bunny Ears – Do you see those eggs with bunny ears? Dear Lord. Not for the faint of heart. Brittany’s husband was a pro at creating these bunny ears, and you would think I had mallets for hands as I tried to twist and bend the wire into the right direction. I cut ALL my fingers. Yes. All. I decided to just put band-aids on all my finger tips. These are cute, I know, but not simple. Napkins – Napkins are a great way to add colour or prints to your table. 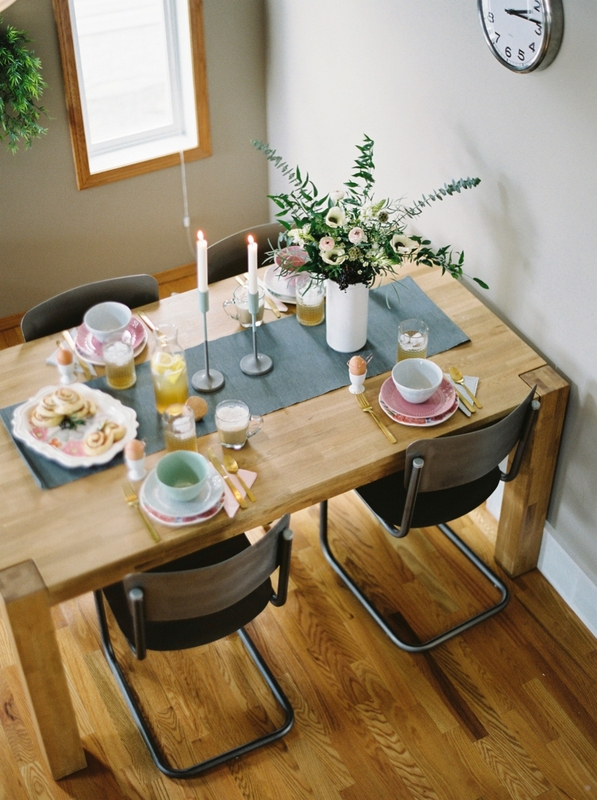 The extra touch just pulls the table setting together! Lavender Lemonade – This lemonade from Danielle Walker’s “Celebrations” cookbook is absolutely refreshing and elegant! Ikea – Just do it. Table runners, plates, napkins, serve ware, pitchers …. Ikea is my happy place. If you need to add an affordable touch, this is a great place to start!